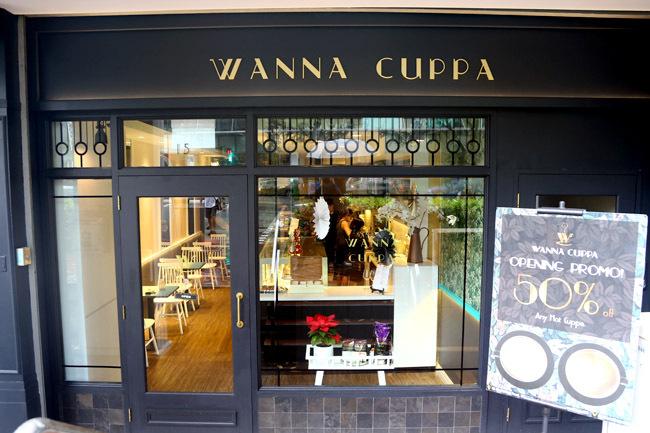 WANNA CUPPA has a twangy name, a centralised location near Clarke Quay, an Art Deco design, yet it seems to have slipped past the radar of café hoppers. Or have people generally gotten bored with hopping. I couldn’t let it go unnoticed for sure. 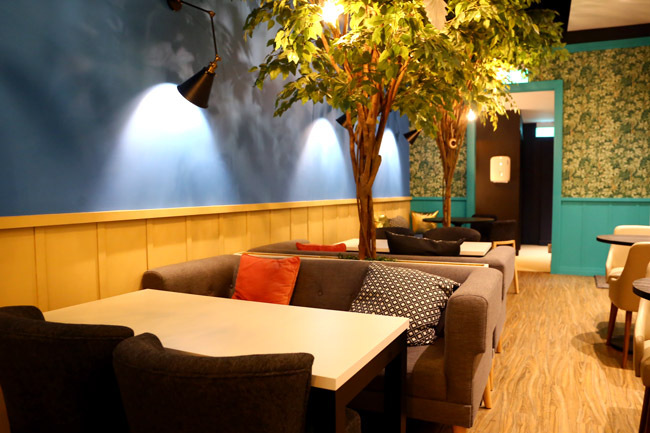 As neighbours to Song Fa Bak Kut Teh at New Bridge Road, WANNA CUPPA has a welcoming environment for customers to relax in an atmosphere of a secret garden. The owner comes from Australian, and thus has that Aussie way (ie friendly) of cafe customer service, going from table to table to get feedback, and greets “How’s it going?” to customers. 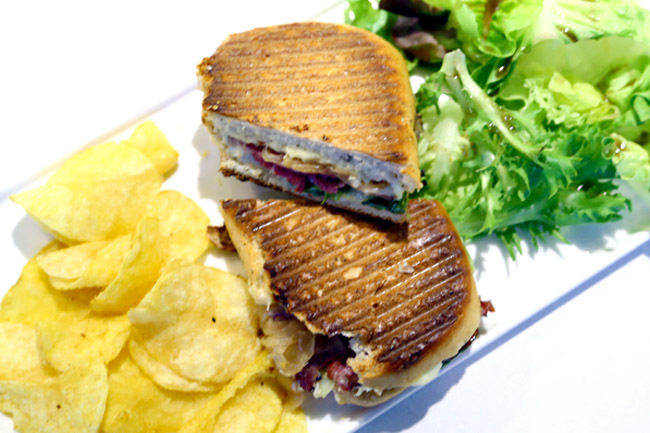 The café is inspired by the 1920s Gatsby glamour which features fresh interpretations of the classic Art Deco designs. 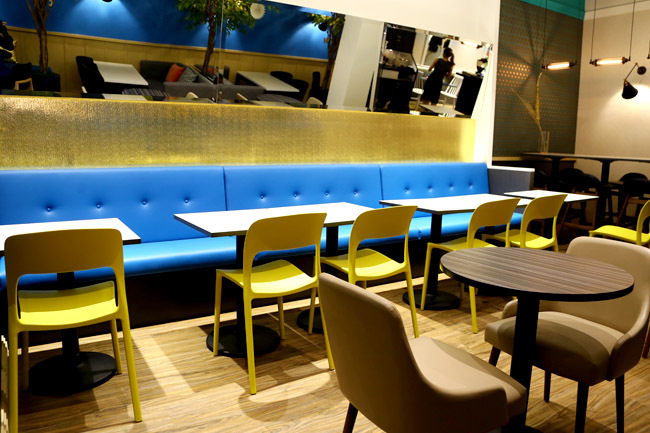 It is designed by Enpuro, an architect and interior designer based in UK. I noticed WANNA CUPPA incorporates different setups – square and round tables, a combination of sofa-like seats, mid-tall chairs suitable for varied groups. Great for long afternoon chats. There is also some attention to details – matching gold cushions, fresh bouquets of floral arrangements, even the toilet is quite done up. 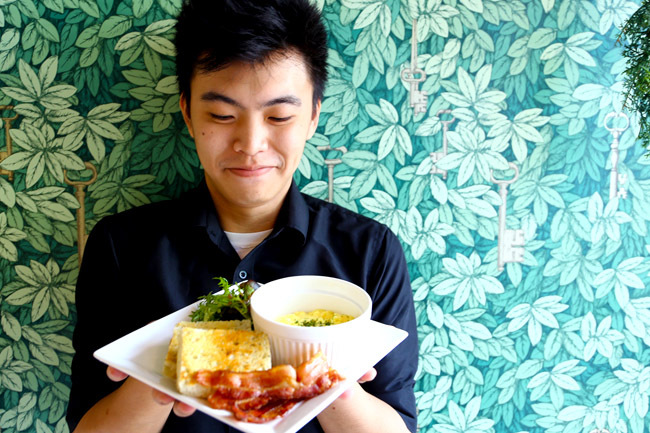 WANNA CUPPA’s signature items include Enoki Mushroom Fries ($7.90), Picasso Panini Grilled Chicken ($8.90), Mushroom Cream Truffle Linguine ($14.90), and Soft-shell Crab Pasta ($15.90). If they are stronger in their food in both design and taste, I thought they would be a (café) force to reckon with. 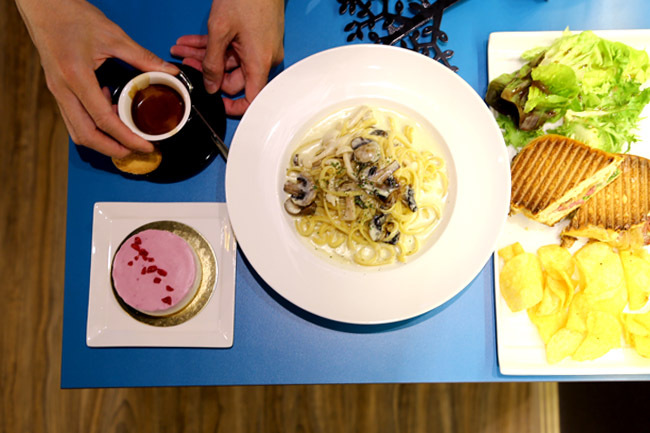 There isn’t a distinct identity in the selection for them to stand out in this scene where aplenty is serving almost similar stuff such as pasta, panini sandwiches, and salads. 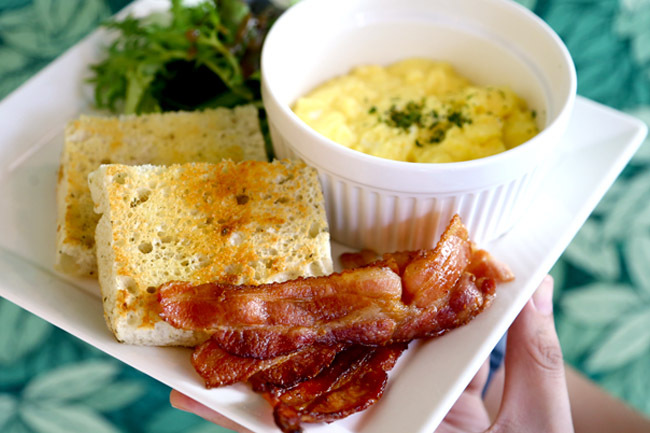 Had a couple of items such as Mushroom Cream Pasta ($14.90), Eggs Royale ($12.90) and Scrambled Eggs on Focaccia ($4.90). 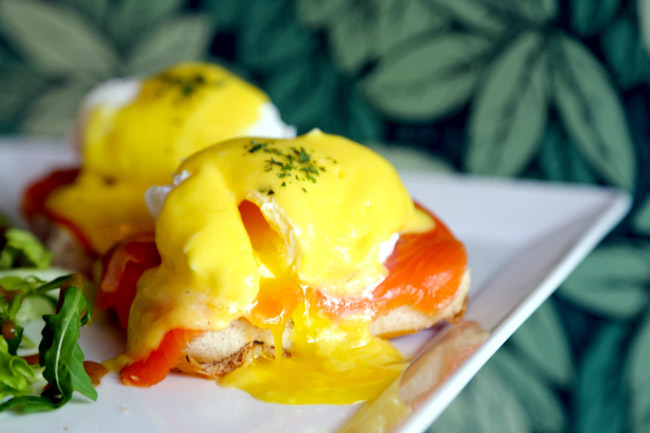 Not bad, but missing minutely in some aspects – the eggs could be creamier, pasta more al dente, sauces tastier. WANNA CUPPA serves award-winning Signature Blend coffee beans from Justin Metcalf World Barista Judge and gourmet teas from Canada for coffee and tea lovers to indulge in. 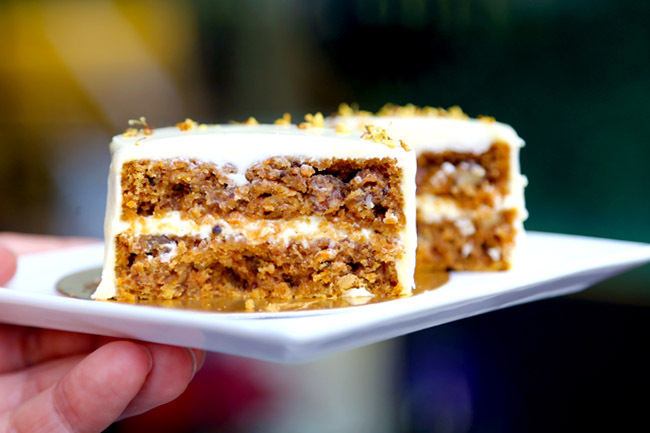 Pastries such as the Carrot Cake can be worth the calories. This is a promising café.